When it comes to straightening, curling or even blow drying your hair, many of us believe the hotter the better. 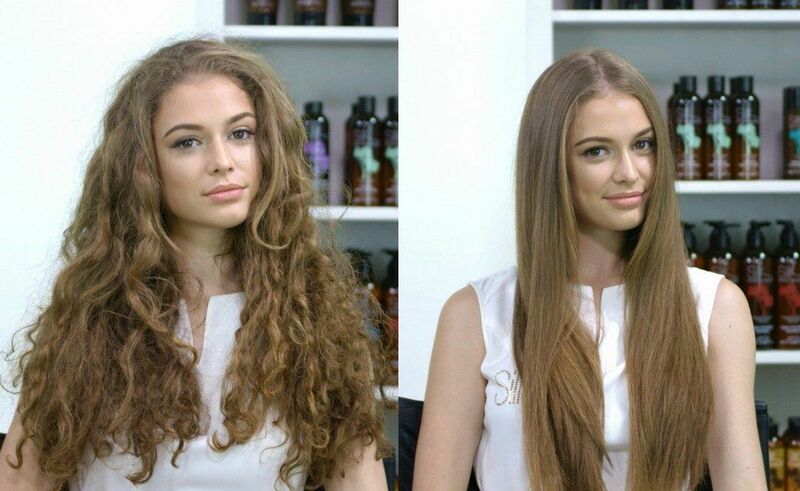 This is a huge misconception and can cause some serious damage to your hair! 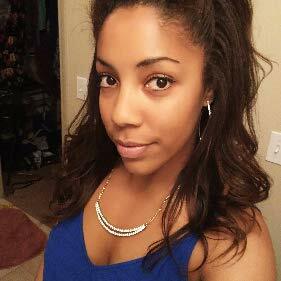 It is key to first take into consideration your hair type, texture and health. Those with damaged, fine and/or brittle hair need to use a lower heat setting compared to those with thick, coarse, healthy hair. Hair tools with adjustable heat settings are a must for healthier styling. Too low of a temperature can also be damaging as it may take many passes over your hair to achieve your desired results. Adjust your temperature accordingly until you find what works with your unique hair type and texture for the safest styling. While professional hair tools are designed to cause less damage to your hair, heat is heat and using it to straighten, curl or dry hair will take its toll. A heat protectant will create a barrier over the cuticle and protect it from the heat of your tools. Heat protectants are also great for adding shine, locking in moisture and taming frizz. You can use the best shampoos, conditioners and treatments but if you’re not mindful of the nutrients you are getting in on a daily basis, they will not help maintain healthy, strong locks. The foods we eat directly affect our overall health, including our hair, skin and nails. Foods which contain vitamins B6 & B12, iron, zinc, protein and omegas should be included in your diet for healthy, strong, shiny hair. The average lifespan of a hair dryer is 800-1500 hours while a hair straightener or curling iron is good for 500-1000 hours. The life span depends on the brand and how well tools are cared for (storage, cleaning etc). Signs that it’s time to replace your tools include; any damage to the cord, casing, flat iron plates or the barrel of your curling iron. The temperature settings start to show signs of overheating or not getting hot enough or, your hair tool is giving off a strange odor during use. All of these are indicators that it’s time for a replacement. You may not even be aware of it either! Not all hair care is created equally and certain ingredients can cause more harm than good and not just to your hair but your overall health! 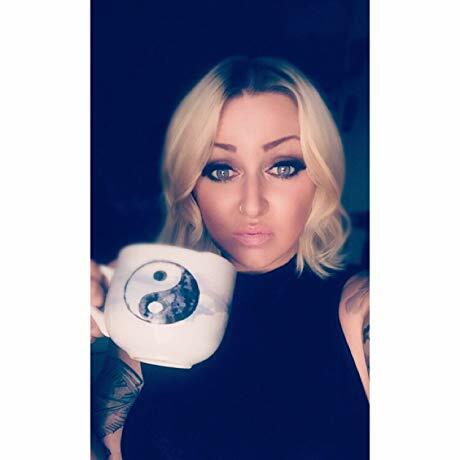 When purchasing hair care products you want to avoid ingredients such as; sulphates, parabens, sodium chloride, polyethylene glycol, DEA, TEA, formaldehyde and alcohol. Products which contain synthetic fragrances and colors can also cause hair damage, scalp issues and even hair loss. Is there any woman who… doesn’t want beautiful hair? With so many options to choose from its hard to know what products and hair tools to use on your hair. At Karmin our main goal is to provide the highest quality products at a reasonable price. Karmin has been providing hight quality hair tools and hair care products for over 20 years. We take pride in the results you will achieve using our products. 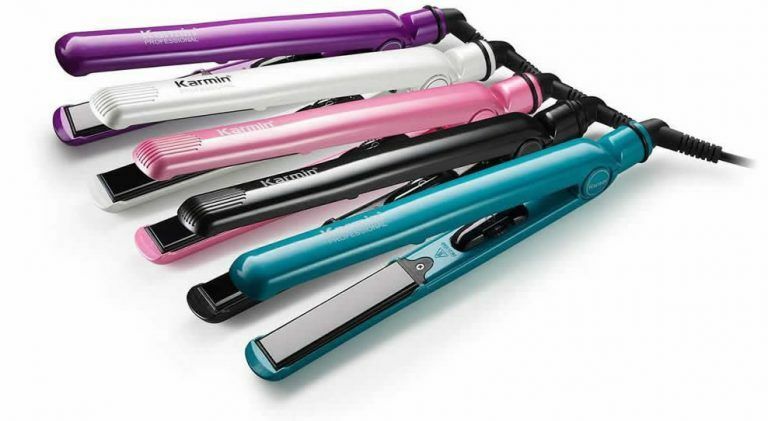 Karmin offers hair straighteners for every budget. All of our straighteners use true ceramic and tourmaline. Best I have used! I tried many different flat irons before I purchased this one and I decided to keep this one. I need a flat iron that gets really hot and this one has adjustable heat setting. 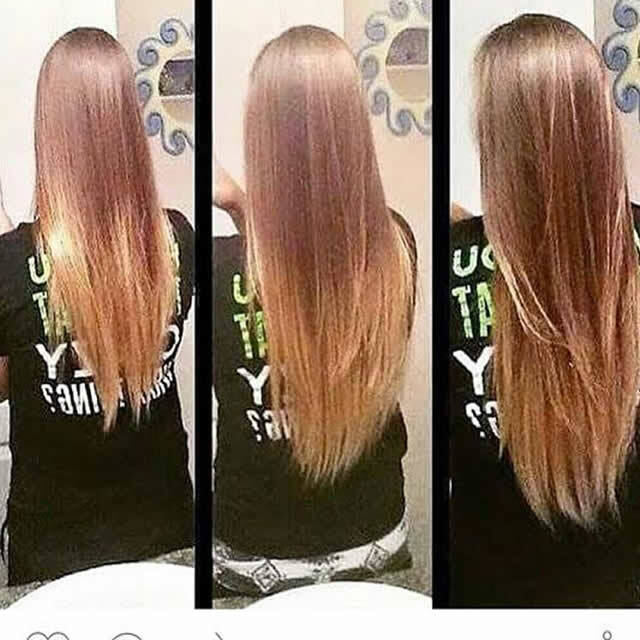 It glides across your hair with no snags and straightens really well. For my hair, it is not one pass but I have yet to find a flat iron that is. I love the carrying case that it comes with. Use All Natural Hair Shampoo and Conditioners to Avoid Harmful Chemicals. 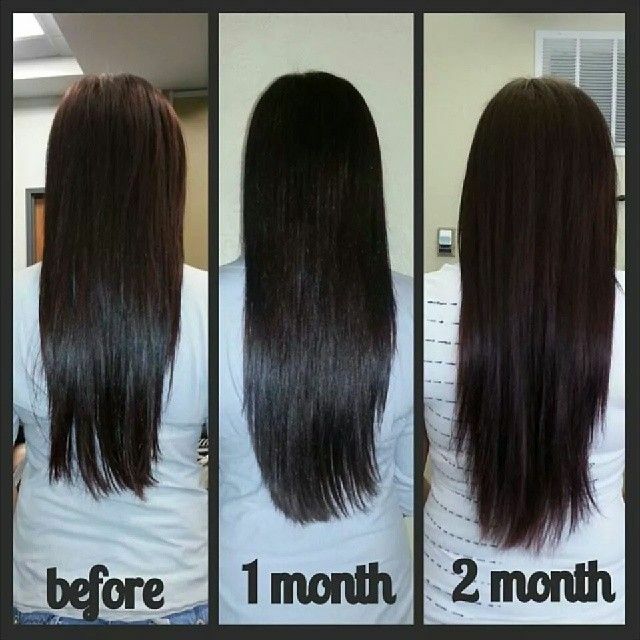 Karmin 4 Step Hair Repair System will repair and replenish your hair leaving it smooth and healthy looking. When using any type of heat tool on your hair always make sure to use a heat protector spray. 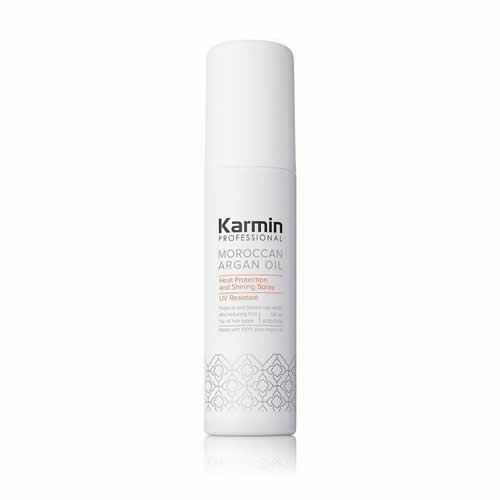 Karmin offers a enviromental friendly heat spray with argan oil. Love this stuff! I never used to use thermal protection spray because every single one I tried made my hair super crunchy and dry. After a stern talking to by my stylist I decided to look for another one and give it another try. I am so glad I stumbled across this stuff. I tried the small bottle first to see if I liked it and I was shocked how soft my hair felt after using it! It even helps my hair straighten better and makes it so shiny! Highly recommend. Perfect Hair Care Starts from the Inside. 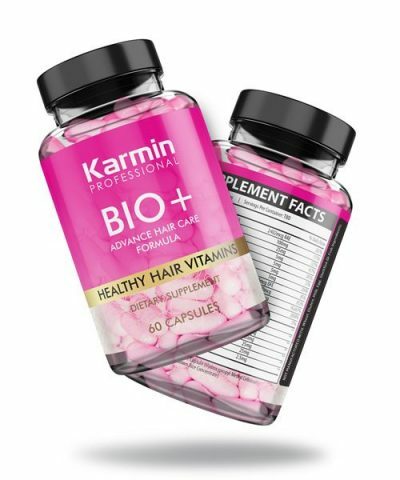 Karmin offers All Natural MADE IN USA Hair Vitamins that contain all the essential vitamins needed for longer, stronger and healthier shiner hair. My hair is back better than ever! This stuff is amazing. I don’t take it everyday because I forget to, but the days I remember to take it I’ve noticed a HUGE difference in my hair. 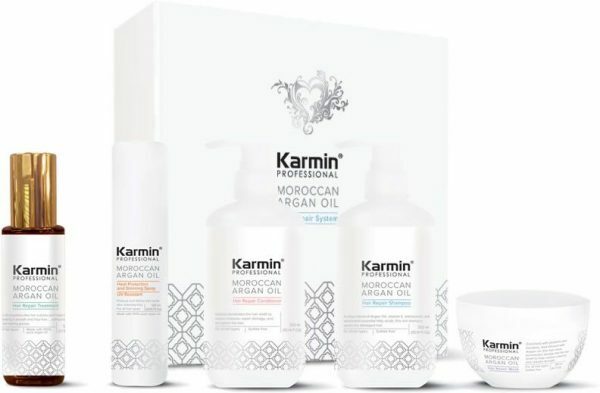 All Karmin Hair Tools and Products come with a Full Money Back Guarantee and Free Shipping Worldwide.